When you visit a business, private residence or other type of property that is not your own, you have a reasonable expectation that you will not be injured due to the property owner’s negligence. Unfortunately, some property owners fail to maintain a safe area for visitors. If you do suffer harm on someone else’s property, you may be entitled to receive compensation for your injuries. To learn how our experienced premises liability attorney can help you obtain the justice and compensation you deserve, please contact Reid B. Wissner Law Offices online or at 212-406-9288 today to schedule a free consultation. We work on a contingency-fee basis, which means that we don’t get paid unless you do. Property owners have a legal obligation to ensure that their property is safe for you and other visitors. Premises liability refers to liability of property owners or other responsible parties for injuries caused by hazards and negligence on their property. The list above is just a small sample of the dangers that could exist on someone’s property. If you have suffered any type of personal injury on another’s premises, you should contact Reid Wissner right away to discuss your case for free. He will carefully examine the details of your situation and determine who should be held accountable for your injuries. 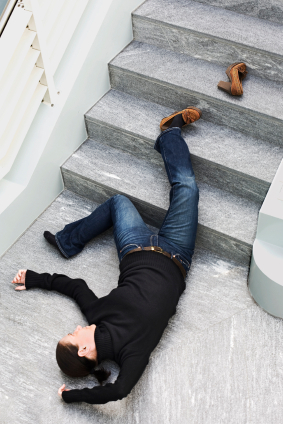 If you fall down a flight of unsafe stairs, the property owner can be held liable for your accident. The key is working with an experienced premises liability attorney who has the skill and experience to prove that the owner or property manager knew of the danger but failed to fix or warn you. Broken or missing handrail: If a handrail is absent or broken, it makes it difficult for people to maintain their balance and impossible to catch themselves if they start to fall. Broken or uneven steps: Steps that are crumbling, cracked, broken or otherwise uneven greatly increase the risk of falling and getting injured. Steps that are slippery: Any slick surface can be dangerous to walk on, and wet, slippery and/or icy steps are no exception. 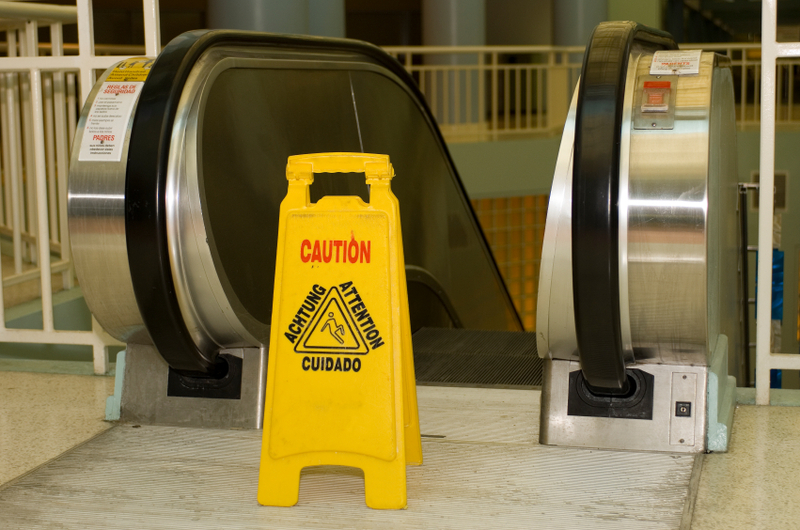 Slippery conditions should be corrected immediately or marked adequately with warning signs. Poorly lit stairs: When visitors aren’t able to see where they are stepping, they are in greater danger of losing control and falling. In addition to the upkeep and maintenance of walkways, stairs and other areas of a premises, property owners have a duty to prevent any foreseeable criminal acts by keeping their property secure using technology, a security company or other reasonable measures. A dark and unmonitored parking lot can be equally or more dangerous than a slippery floor. Poor lighting: Poor lighting often leads to fall-related injuries, but it can also contribute to higher risk of assault, robbery and other criminal acts. Lack of alarm systems or security cameras: security systems that are not monitored or maintained properly can create an unsafe environment for visitors. Failure to secure entrances: Gates, side doors, windows and other potential entry points that are left open or unsecured can expose guests to unexpected assaults. Inadequate security personnel: Sometimes security personnel are simply not hired for areas or situations in which they should be. Other times, security guards are poorly trained or fail to perform their duties. All of these situations can put visitors at great risk. Just like accidents, many crimes are preventable if property owners take their responsibilities seriously and take action to ensure the safety and well being of visitors on their premises. 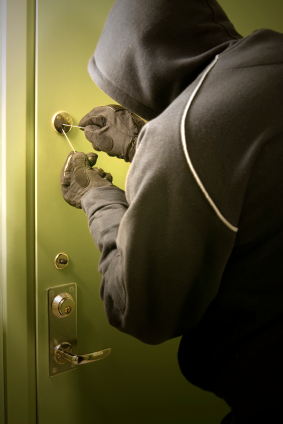 You may not know if your injuries were the result of negligent security. Reid Wissner is an experienced lawyer and can determine who is responsible for your situation and fight to hold the negligent parties accountable. For more than 30 years, Reid Wissner has helped personal injury victims obtain the justice and compensation they deserve. If you’ve suffered any type of injury on another’s property, please call Reid B. Wissner Law Offices at 212-406-9288 right away to discuss your case for free. We proudly serve clients from Brooklyn, Queens and the Bronx.